Last month four museums in the Mackay region collaborated on an exhibition to mark the 100th anniversary of the cyclone which struck the region on January 20th 1918. The exhibition was valuable in not only gathering together information and objects to commemorate this devastating event, but also in acting as a timely reminder of our continued vulnerability to severe weather events. The cyclone, considered a category 4 in today’s system, caused widespread devastation from Mackay and down the coast as far as Yeppoon and Rockhampton. It was responsible for substantial losses in the sugar and beef industries, and claimed 30 lives in Mackay. Mackay Museum, Greenmount Homestead, Pioneer Valley Museum, and Sarina District Historical Centre collaborated with the assistance of Mackay Regional Council and the MDO programme to gather together information, photographs and objects to create “In the Path of the Storm”. By combining in this way to produce the exhibition, the museums were able to present a region wide interpretation of the event and its impacts. By the very nature of the event the museums were commemorating, objects were going to be hard to come by. But the museums demonstrated what treasure troves community collections can be. Greenmount Homestead contributed a diary kept by Albert Cook at the time of the cyclone as well as an impressive print by Tom Roberts which had been water damaged at the homestead during the cyclone, and which still bore the watermarks. Mackay Museum contributed a model of the brave little Eleanor, the only vessel to survive the cyclone intact and which was crucial in the recovery efforts in the days following the cyclone, when Mackay was completely isolated from the rest of the world. The original vessel is on display at the Mackay Museum. On loan to Mackay Museum from the Queensland Museum collections were the twisted remains of the Brinawarr, a steamship which broke free from its moorings during the cyclone and crashed into the bridge over the Pioneer River, severing communications between north and south Mackay. The remains of the Brinawarr were only rediscovered during the construction of a new bridge in 2009. The exhibition was held in the Jubilee Community Centre and was the first major exhibition in this new space created from the former library. Community response to the exhibition has been enthusiastic, with many visitors engaging through opportunities to tell their own family’s story of the cyclone. One hundred years on, memories of the event passed down are still painful and vivid. The exhibition banners have now left the Jubilee Community Centre and begun a tour of the region, first stop Melba House at Marian. So keep a weather eye for the banners coming to a venue near you! The exhibition opening event was well attended and included special guests such as Eileen Welch, who was 5 years old at the time of the cyclone, and the niece of Jack Vidulich, who signalled the first SOS morse message from the devastated town. Photographs graphically captured the damage in the days following the cyclone. Items from the steamship ‘Brinawarr’, sunk during the cyclone and recovered in 2009. Objects retrieved from the Pioneer River included parts of the compass and binnacle, as well as letters from the ship’s name and port of registration. Model of the ‘Eleanor’, Albert Cook’s 1918 diary, and lamps from a buggy belonging to Albert Cook which was damaged in the cyclone. Visitors could also interact with the photographs from the exhibition via a HistoryPin webpage, which allowed a unique geographical “then and now” perspective. Earlier this month I was lucky enough to travel to Muttaburra to deliver some workshops. Although a (very) small town, Muttaburra boasts two museums – the Dr Arratta Memorial Museum and Cassimatis Store and Cottage – which are managed by a small but dedicated team of volunteers. Keen to learn about how best to care for and interpret their collections, we devised a series of four workshops covering collection policies, interpretation panels, cataloguing, and object labelling. Learning how to make interpretation panels using foam core board. While we all may know what is exciting and unusual about our own collections, it is worth giving some thought to how we share this with our visitors to make sure we’re providing the best possible experience of what our collections have to offer. During our workshop on interpretation panels, the Muttaburra volunteers thought and talked about how to plan exhibitions and displays (and what’s the difference between the two! ), how best to interpret objects to make them accessible and interesting for visitors, and the nuts and bolts of what makes good interpretation panels. Thinking and talking is good, but doing is even better, so the volunteers soon got stuck into making their own interpretation panels. Now armed with the tools of the trade, I’m looking forward to seeing what they do with their new skills! Writing a Collection Policy may not sound like the most exciting aspect of museum life, but it is really the most important document in helping you manage your collection well. It helps you clearly define all the main aspects of managing your collection, including how you will collect objects, how you will document them, how you will care for them, as well as tackling some of the more tricky issues of deaccessioning and ethical considerations. With two very different collections to manage, some thought had to be given to how to structure the collection policy to best suit their situation, but very quickly the volunteers worked together to painlessly produce a document which will be their first port of call in all important decision making processes. Checking to see if our location system works! Another hallmark of a well managed collection is good documentation, but with backlogs common to all museums, it often gets put in the too hard basket. We spent some time in Muttaburra looking at the processes for accessioning items into the collection, followed by the more detailed work of cataloguing. While some useful work has been done in the past at the Hospital Museum, we had to spend some time trying to establish if previous location systems were still practical, and devising new ones for the Cassimatis Store and Cottage. As always, practice makes perfect so getting their own electronic catalogue started was an important component to the workshop. A good catalogue is of little use if you can’t identify your objects, so applying accession labels to objects was our last topic. Good object labelling, combined with good documentation, is also another weapon in the museum arsenal when confronted with a disaster. There are several options for doing this safely and unobtrusively dependent on the materials of each object, so the volunteers were introduced to a range of techniques. I expect that soon everything that isn’t nailed down will have a number attached to it! The workshops were funded by the Regional Arts Development Fund through Barcaldine Regional Council. Thanks to the volunteers for being such wonderful hosts and willing students, and also to the volunteers from the Aramac Tramway Museum who made the trip to Muttaburra to take part. It’s great to see small museums and communities working together. I’m looking forward to seeing more of your new skills in action. The early hours of Saturday July 18th will mark the first anniversary of the fire which claimed the Waltzing Matilda Centre in Winton. It has been a long hard road for the volunteers of the Winton District Historical Society so it is timely to reflect on the enormous amount they have achieved since the devastating impact of the fire. Previous blogs have detailed the remarkable results achieved by conservators on a number of significant objects (Winton Fire response – Waltzing Matilda Centre, Winton Fire Response – the next phase of recovery, Phoenix objects from Winton, The conservation of a fire damaged print), but the work hasn’t stopped there. Since March 21st the volunteers have opened those areas of the complex unaffected by the fire on a daily basis, and have welcomed over 1800 visitors. Although displays in the main Waltzing Matilda Centre were impacted by the fire, there’s still plenty for visitors to see in the museum complex with a fascinating range of cultural and natural history objects from the region on display. Visitors can also see objects salvaged from the fire and the ongoing work of volunteers in conserving them. The Waltzing Matilda Story, which previously formed part of the Billabong Show in the Centre, was saved from the fire and can be viewed in the Sarah Riley Theatre, which has also played host to a variety of community activities since the fire, including Waltzing Matilda Day, a famil tour and smoko for interstate journalists, and a free talk on overshots in Western Queensland by historian Sandi Robb. In amongst all this activity, the volunteers have continued to work steadily through the objects still requiring attention. Locals and visitors have also donated their time and expertise in the ongoing cleaning process, and the Winton Creative Arts Group have achieved stunning results with some of the collection, reading room, and storage furniture, with 11 large items and 12 chairs restored. With all these achievements it’s easy for outsiders to forget the physical and emotional toll a disaster such as this takes on those who face loss and damage of their treasured collections. But the images below demonstrate just what a huge accomplishment the successes of the past year have been. The Winton District Historical Society are collaborating with Council, architects and the curatorial team on plans for the new Waltzing Matilda Centre, incorporating the museum precinct, and we can’t wait to see what they’ll do next. After months of research and preparation, the exhibition on the Fryer brothers and the medical history of the war opened at the Springsure Hospital Museum on April 24th. 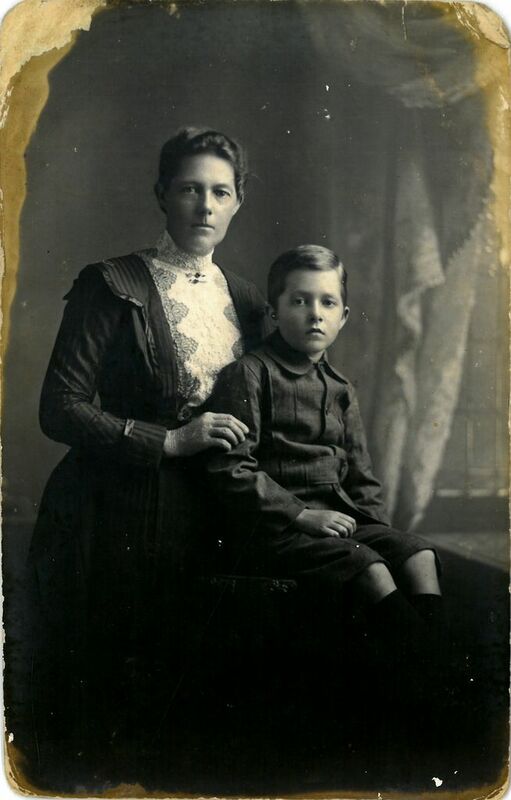 Two of my previous posts, The Legacy of War and Dear Mother… dealt with the experiences of four of the Fryer brothers of Springsure during the First World War and the impact this had on their lives, and that of their family, following the war. While researching the exhibition I had found, despite the terrible tragedies which had befallen the family during and after the war, the Fryer brothers were still survived by children, grand children, great grandchildren, nieces and nephews. The family have contributed to the research and followed the journey of discovery, and to have so many attend the exhibition opening to remember the lives of these young men made the event thoroughly unforgettable. Family had travelled from as far afield as Darwin and Tasmania to be at the event, and the opening was attended by around 80 family members and invited guests. Another special guest at the opening was the Manager of the Fryer Library, Simon Farley. Simon and his team have been extraordinarily generous in allowing me access to the Fryer material and providing images for the exhibition. As the custodian of so much of significance to the family and researchers, Simon’s presence was greatly appreciated by everyone. The Fryer Library have honoured their namesake with their own online exhibition JD Fryer: Student and Soldier Also attending the opening were local veterans from WWII and Afghanistan, which gave the content of the exhibition added relevance. 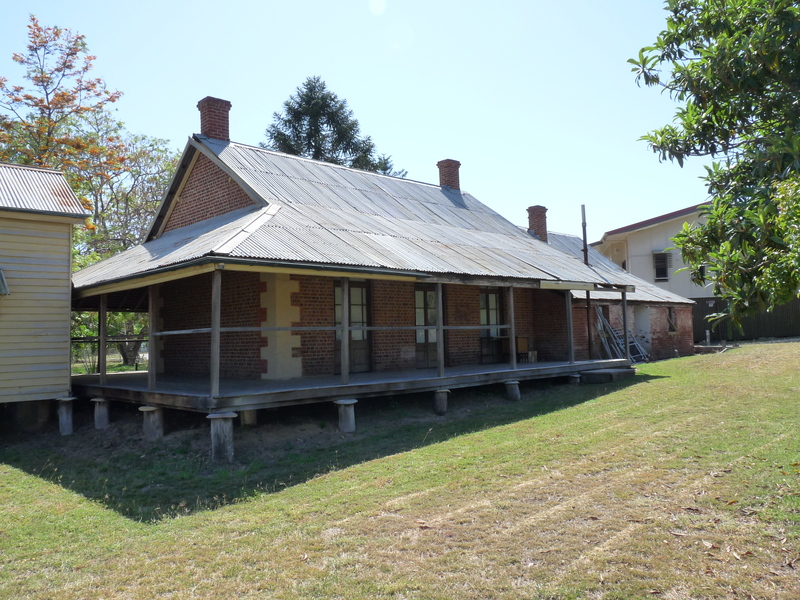 The heritage listed 1868 Springsure Hospital Museum provided a beautifully intimate setting, given added weight by the Fryer family’s connection to the building. The exhibition was funded by the Central Highlands Regional Council Regional Arts Development Fund. Cr Kerry Hayes, Central Highlands Regional Council Mayor opened the event and other Council representatives attended, with many having worked behind the scenes to help make the day a success. The dedicated volunteers of the Winton and District Historical Society have taken some giant strides forward in their fire recovery process with several objects receiving advanced conservation treatment. These objects were selected for treatment due to the extent of the damage received and their significance. Most of the items had formed part of the recently installed WWI display. Two candle sticks and a brass cross, both from St. Paul’s Anglican Church in Winton, had received extensive damage as a result of the fire. The cross, originally mounted on a wooden backing, commemorated the sacrifice of Rev. Hulton-Sams, who had served as minister at St. Paul’s Church before enlisting in WWI. Hulton-Sams was killed in July 1915 at Hooge while bringing water to the wounded. The fire had completely destroyed the wooden mounting and the intense heat had buckled and discoloured the surface of the brass. The cross was sent to metals conservator Peter Maxwell, who used specialist techniques to safely straighten the cross and remove the charring to the surface. A new wooden mount was made, and the result is impressive to say the least. Cross from St Paul’s Church commemorating Rev. Hulton-Sams, showing planar distortion, surface discolouration, and loss of wooden mount as a result of fire damage. Two altar candlesticks commemorated the loss of George James Fellows at Messines Ridge on 7th June, 1917. Fellows’ eldest brother was minister of St. Paul’s at the time, and the candlesticks formed part of a commemorative area in the Church honouring those who had lost their lives in the service of their country. Although more structurally sound than the cross, the candlesticks had received extensive soot damage to their surface, which partially obscured the original inscription. The candlesticks had received some initial cleaning and stabilization during the MDO visit to Winton in July, but were in need of specialist treatment to restore them to their former glory. Two textiles also formed part of objects selected for further conservation work. The first of these was a WWI uniform and kit bag which had belonged to Private James Martyr. Pte Martyr enlisted in 1916 and served in France before finally being returned to Australia in 1919, when he managed a sheep property near Winton. This uniform had received extensive damage from soot and debris, and was already fragile from earlier insect damage. It therefore needed particular care in the initial cleaning process undertaken to remove surface soot. It appeared that the uniform and kit bag had also become wet in the process of putting out the fire, which had caused the soot to become further ingrained in the fibres of the uniform. The uniform and kit bag were sent to Tess Evans of Heights Heritage Conservation, as the acidic nature of soot meant it was particularly important it was thoroughly removed to avoid any further deterioration. Tess first had the stabilize the fragile textiles before undertaking cleaning work. Martyr kit bag before conservation. Tess also worked on a WWII Japanese silk flag. Like the Martyr uniform, the flag had not only received soot damage but had also deteriorated with age in a way typical of silk. Not only has the soot damage now been treated, but the weak areas of the silk have been stabilized and the flag now makes a more attractive display item. Japanese silk flag before conservation. Finally, Winton and District Historical Society volunteer Fiona demonstrated her wood restoration skills and has achieved remarkable results with a wall telephone from the museum collection. The museum welcomed 550 visitors over six weeks when they opened the remainder of their collection to the public in September and October. They are now taking a well earned break and are planning on opening again for Easter 2016. As MDOs, we are thrilled to see the results achieved by the conservators and the support shown by the public in visiting the museum. We are looking forward to working with them in 2016 as they continue to move forward. Volunteers of the Winton and District Historical Society celebrate after receiving 550 visitors after opening again to the public. With Remembrance Day just around the corner, I thought it timely to revisit the story of the Fryer brothers and share some of their letters and postcards which are representative of the humanity and filial affection of these four young men. To remind yourself of their story, revisit my blog from September 30th, “The legacy of war”. Before the serious heat of summer struck, MDO Josh Tarrant and I travelled to Ilfracombe to undertake a conservation clean of the objects and interior of Langenbaker House. I have previously blogged about the history of this remarkable piece of Western Queensland history – moved to Ilfracombe from Barcaldine in about 1899, it was occupied continuously by the Langenbaker family for over 90 years. On the death of the last family member, the house and all its contents were acquired by the local council in order to preserve this increasingly vanishing part of Queensland’s heritage. Situated in dry, dusty, drought-stricken Ilfracombe, keeping the house and contents clean will always be a challenge. The design of the house – timber frame with corrugated iron walls – would have allowed plenty of breeze to flow through, keeping the Langenbakers cool, but has also let in dust and pests now the house is unoccupied and not receiving the regular housekeeping attention of Mrs Langenbaker. The dust had built up over some years, so it was time to arm ourselves with vacuum cleaners and set to work. Not only does dirt and dust detract from the appearance of objects, it also creates food and habitation for pests, which may further damage collection items. As the aim of our conservation clean was to remove these harmful agents in order to safeguard the items for the future, normal household cleaners were off the agenda, as these are often just as harmful to objects as the dirt and pests themselves. Our primary cleaning tools were vacuums with adjustable suction and micro-attachments, soft brushes, with the occasional sparing use of distilled water and cotton buds. But even these simple tools produced dramatic results. Colours became more vibrant (or even visible! ), and the house took on a more lived-in feel. Mrs Langenbaker had a reputation as a meticulous housekeeper, so the appearance of the house is now more in keeping with how it was maintained during her lifetime. Annual deep cleans are an excellent way of extending your weekly or monthly collection cleaning schedule, getting in to those hard to reach places, and giving your collection a good health check. But be prepared to put in some time – our conservation clean of Langenbaker House took five full days! Click on the images below to see some of the results. Bernie Langenbaker’s dresser before and after cleaning. Bernie Langenbaker’s desk before and after cleaning. Surprise! This ashtray was actually a dark red. Every drawer and cupboard was emptied, cleaned, and the contents replaced. A gentle vacuum clean produced noticeable results on this lace curtain. Family photos getting some care. The hardworking volunteers of the Winton and District Historical Society will take another positive step forward on their road to recovery when they open parts of their museum to the public again tomorrow, September 1st. While the main building at the Waltzing Matilda Centre was destroyed by the fire in June, other parts of the complex remained untouched. These buildings hold a wealth of varied collections, including fossils and natural history, machinery, and social history. So if you’re in the area, why not pay a visit to this fascinating collection and continue to support the museum in their recovery. Congratulations Winton and District Historical Society on this major achievement! When I was approached by the Springsure Hospital Museum to create a WWI display, I thought it would be an interesting opportunity to research the medical advances made during the war necessitated by the unprecedented injuries inflicted by this new industrial warfare. The idea for the exhibition was inspired by a memorial plaque from a ward built in 1925, paying tribute to the men of Springsure who had served in the Great War. The impacts of death and wounding from WWI were amplified in these remote Queensland towns which relied on the labour of strong young men to operate and survive. In investigating Springsure soldiers whose experiences would assist in the telling of the medical history of WWI, my attention was seized by four remarkable brothers and the research took on a momentum of its own. Many who have spent time in and around libraries in Brisbane will doubtless be familiar with the Fryer Library at the University of Queensland. But how many are familiar with the story behind the thoughtful looking young man in a Lieutenant’s uniform whose photographic portrait hangs behind the reception desk? Perhaps few are aware of the story of his tragically short life, and the price he and his three brothers paid for their service in France. 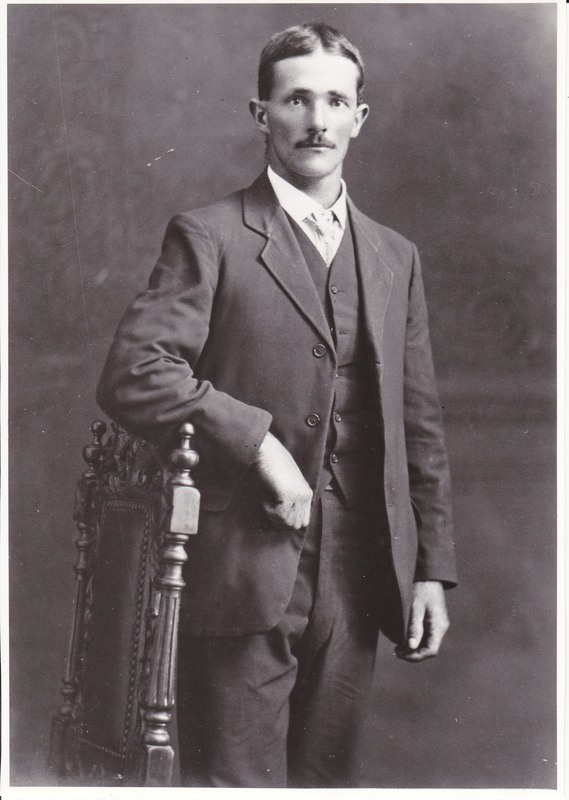 The Fryer brothers were initially of interest to the exhibition as their parents, Charles and Rosina Fryer, were for a time Wardsman and Matron at the Springsure Hospital, and Jack, after whom the Fryer Library is named, was born there in 1895. Although the youngest of the brothers of eligible age, Jack was the first of the four to successfully enlist, but was closely followed by William, the eldest, then Charles and Henry. William was the first to suffer the serious physical consequences of war, and was severely wounded at Mouquet Farm in September of 1916. Although according to his brother Charlie’s letter home he was “alright, happy and laughing”, William’s injuries were severe enough for him to be returned to Australia, unfit for active service and his capacity to earn his living at his former occupation as a labourer was estimated to have been reduced by half. In the same action which saw William’s active military career ended, his brother Charles was buried alive three times by exploding shells, only narrowly escaping with his life. Charlie suffered through the appalling Somme winter of 1916/17, struggling through the worst conditions experienced in 60 years, and like thousands of others, suffered exhaustion, constant stress, and trench foot. Charlie’s letters home cannot disguise his homesickness, as he longs for the “old bush life in the bush of Queensland, where you can get wood for a fire and a free old life”. Witnessing his friends killed around him weighed heavily on him. Charlie stoically endured the horrors of the Somme until he too was killed in action near Bullecourt on April 5th, 1917. 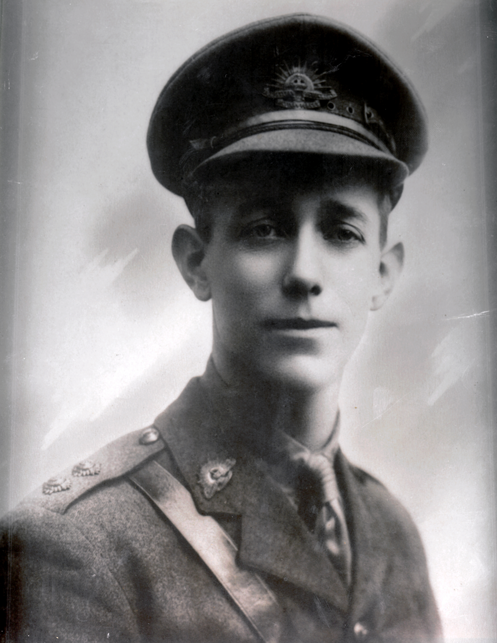 Henry had joined his brothers in France somewhat later, but was precipitated into the grim trench warfare of the Western Front and sustained a fractured elbow from a gunshot wound at Messines in 1917. Also declared unfit for active service as a result of his wounds, he was returned to Australia. 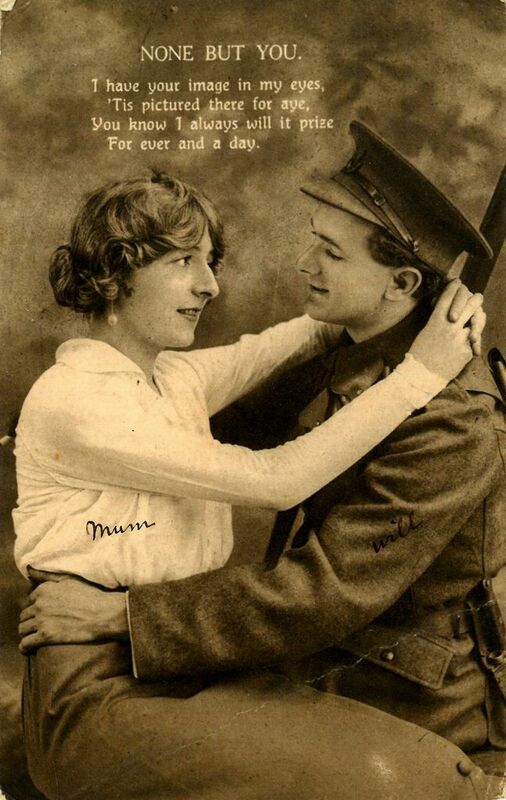 As the only brother remaining on active service, Jack wrote to his sister in June of 1917 “S’pose it’s my turn for a clout now”. As a Lieutenant, Jack’s chances of wounding or death were high, with the average life expectancy of Lieutenants on the Western Front estimated during some stages of the war at as little as three months. Despite the grim odds, Jack endured for over another year, finally receiving severe gunshot and shrapnel wounds during an attack on his trench at 4am in August of 1918. Unfit for further active service, he remained recuperating in England until after the end of the war, at which time he returned to Australia. 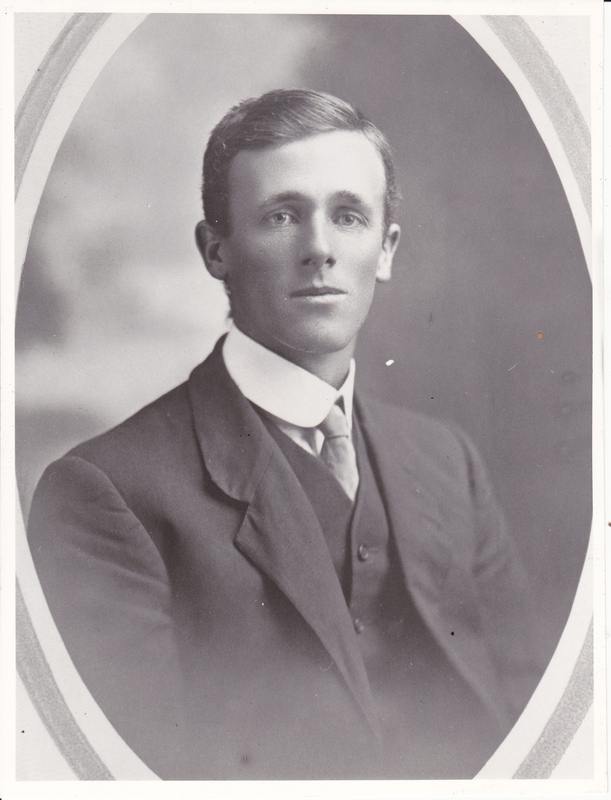 On returning to Australia, Jack re-entered the University of Queensland to continue his studies which had been interrupted by the war, but failing health in 1922 led to him missing his final exams to receive treatment for tuberculosis at a soldier’s convalescent home in Brisbane. It is likely that he contracted the disease in the squalid conditions of the trenches, and there seems to be an understanding within the family that his lungs had already been weakened by a poison gas attack in 1917. 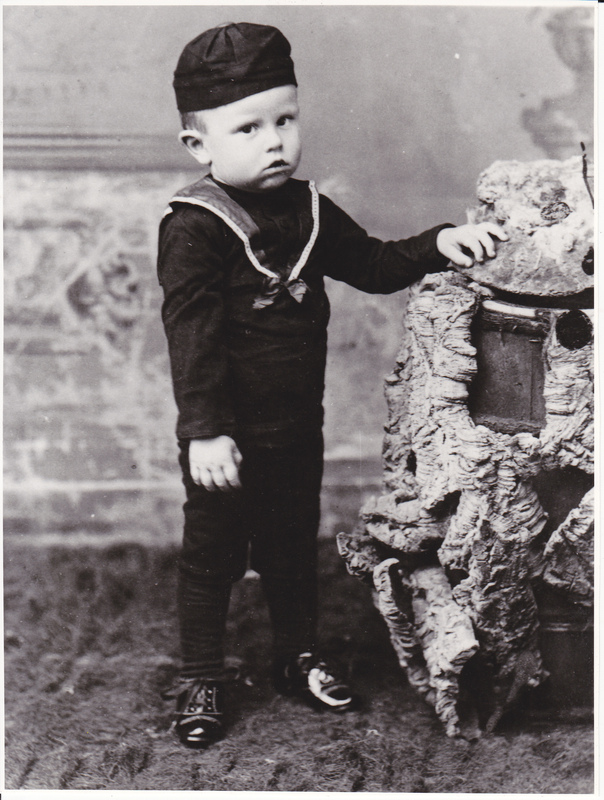 Alarmed at his sudden decline, his mother traveled to Brisbane to collect him and bring him home to Springsure where she could nurse him. All efforts were in vain however, and Jack died in February of 1923 at the age of 27. The stories of Jack Fryer and his brothers are most eloquently told in the letters they sent home from the front, now held at the Fryer Library. While they commented very little on the experiences they encountered in places now etched in the Australian collective memory, their personalities come alive through their letters – their concern for each other and their friends, the family jokes they share, and their desire to allay the fears of those left at home. The Fryer letters build a picture of a close, loving family with a dynamic probably more familiar to the 21st century than the early 20th, and the grief of family and friends at Charlie’s death in action and Jack’s terminal illness following the war is still palpable. During a recent visit to Springsure, I was privileged to meet and talk with relatives and descendants of the Fryer brothers, and others in the community who remembered them well. Together with their letters and photographs, this provides such a tangible link with the past so as to make it appear so much more immediate. My thanks to the Fryer Library and the Springsure community for assisting with this research. Keep watching the MDO blog as more of the Fryer story unfolds in the lead up to the exhibition at the Springsure Hospital Museum. After the enormous effort by volunteers from the Winton and District Historical Society and Queensland Museum staff Ewen McPhee and Sue Valis to recover objects from the fire damaged Waltzing Matilda Centre in Winton, the next stage of the recovery process could begin. Ewen and Sue returned to Winton with MDOs from across the state, Melanie Piddocke, Josh Tarrant, Lydia Egunnike and Jo Wills, to assist museum volunteers with the next step in cleaning and conserving objects retrieved from the fire. During the week we were also joined by Deborah Bailey, Director of Operations & Communities for Queensland Museum, who lent an extra pair of helping hands. Despite extensive damage to the main building at the Waltzing Matilda Centre, a significant number of objects were retrieved for cleaning and conservation. As other parts of the facility containing the remainder of the museum’s collections were untouched by the fire, this provided excellent working spaces for the cleaning process. The excellent documentation, organisation, and knowledge of the collection by the volunteers further added to the efficiency of prioritising and locating items to be cleaned. Most of the items recovered had suffered surface damage from soot, while some paper based materials had suffered water damage in the fire fighting process. Under the watchful eyes of our conservators Sue and Lydia, we all learned special techniques for dealing with the unique challenges of object recovery post fire. Against the continual hum of generators and vacuum cleaners, the cleaning process was started. After a solid week of cleaning, significant inroads had been made on many of the objects, and the area reserved for clean objects began to fill up. It was time for the MDOs to say a regretful farewell to all the volunteers at Winton, who have not only worked incredibly hard since the fire but had also been wonderful hosts to the MDOs throughout the week. But, with a long road still ahead of them in recovering and rebuilding their museum, the MDOs and Queensland Museum will continue to support them in this important process.